Most people are full of enthusiasm and keen to crack on with second storey additions. The idea of your lovely one storey home being a two storey home is very exciting. But like any project there must be a lot of thought and planning involved. 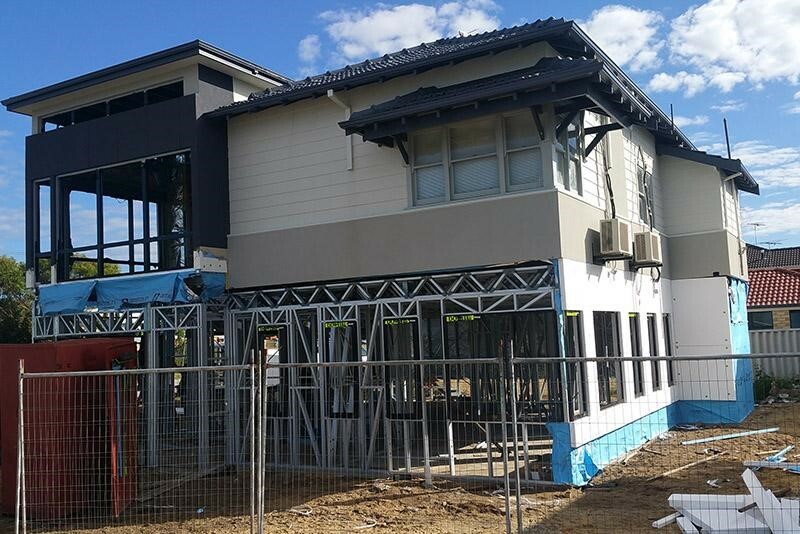 When it comes to second storey additions (whether it’s a Perth or Mandurah Home Builders) at Great Living Homes we have a new technology that has allowed us to actually lift your one storey home up into the air and then build underneath. It’s a new form of house lifting that is saving clients time and money. There are many advantages to house lifting this way. Clients generally want to do a second storey addition for one of two reasons, either to maximise the space they have and to finally have their dream home, or to add value to their existing property. Either way they want quality and house lifting gives you that. The structure of your existing home remains and becomes a second storey which means you can how live in the same space but with a view and a new bottom storey. The bottom storey is also fitted out with steel frames; this allows incredible stability and a sound structure all round. With our innovative House-Lifting technology, you can save up to $20k by not demolishing your old home! You can now Move it, save it, protect it or extend it, all for only a portion of the cost. This way you minimise cost by not having to involve scaffold, cranes, hoists and other labour. The time it takes to complete an entire second storey extension varies depending on your builder and what exactly you want done. What we have seen though from our second storey additions using our house lifting technology is the time is generally a lot shorter than the other methods. The set up may take a couple of weeks but lifting the house from the ground the second storey height actually can be completed in one day. From that point, it is just a matter of standing the wall frames and fitting out the bottom. All in all the time frame is a lot less. A lot of people when building a second storey addition do not think about the opportunity to improve the thermal performance and lower the running costs of your their new home. Your existing house may not have the ability to actually maintain a good temperature, but with the bottom storey made from steel frames you increase your thermal performance and lower your energy costs substantially. Generally speaking, an older property has the most to gain from extensions. When planning your project think about, insulation, energy efficient windows, and doors, solar panels, wall cavity insulation. These are all ways you can improve thermal performance. Whatever the second storey addition Great Living Homes is ready and equipped to help you, from design to planning and execution.